Each term in the squaring sequence, xn, is created by taking xn-1, squaring it, and removing all but the first four digits. Your task is to, given a non-negative integer n, calculate xn. You may submit a full program which performs I/O, or a function which takes n as a parameter. Your solution can be zero or one indexed, as long as you specify which. Because all the terms in this sequence are shorter than 5 digits, your code should be as short as possible too. Standard code-golf loopholes apply. May the best golfer win! This is a great example of abusing type coercion: ** converts both its arguments to numbers, and + converts both its arguments to strings unless they're both numbers. This means that f(n)**2+f first converts f(n) to a number and squares it, then concatenates the result with the string representation of f. We can then use .slice to retrieve the first 4 chars of the string. 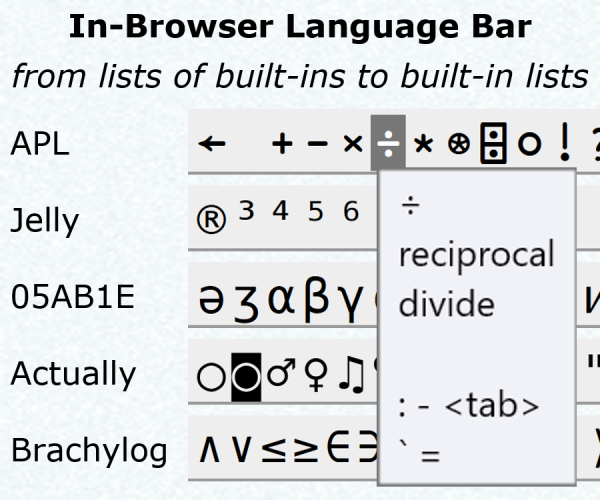 Note: this uses Math.pow because ** isn't supported in all browsers. It's a 0-based sequence. Usage example: ((iterate(read.take 4.show.(^2))1111)!!) 79 -> 4717. Unnamed function taking an integer argument; 0-indexed. Uses four three-byte characters ⌊⌊⌋⌋: Mathematica uses either Floor[x] or ⌊x⌋ to round a real number down to an integer, and the latter is generally one fewer byte. The command names in Mathematica for converting integers to strings are too long, so instead we do a mathematical calculation to find the first four digits of x^2: we take the base-10 logarithm of x^2, subtract its integer part, raise 10 back to that power, and multiply by 1000 and round down. I'd like to get rid of the clunky if if possible, but I think an exec could be shorter.. Turns out for the moment that exec is shorter. Wrong again! The recursive function returns. This is one-indexed. Of course, since numbers aren't exactly V's forte, this isn't very golfy. However, it does show one nice advantage V has over vim. You can run a macro 0 times, which is not possible in vim since '0' is a command not a count. 0000000: 34e9 31c0 f17c 4312 3d12 222a 1222 0a1b  4.1..|C.=."*.".. -3 bytes thanks to Dennis using 1-based indexing and the ṁ mold/reshape atom. Golfing suggestions welcome! Try it online! D      Integer to decimal (a list of digits). ṁ4    Mold/reshape list_of_digits to be 4 digits long. 1     Start with the nilad 1. Ç¡   Call the helper link n times. 36 bytes of code + -p flag. Huge thanks to TimmyD for shaving off 18 bytes! Powershell lets you assign variables in the same statements where you reference them. For example, 1..($n=4)|% will set $n to 4 and then start a loop that runs $n times. 1 can be changed to any integer and it will loop $n-[your integer]+1 times. The default data type when using [math]:: in Powershell is a double. In the code above, we have to explicitly cast $B to a string so that we can call .substring() on it because there is no .substring() function for doubles in Powershell. When n>1 the integer division, 1/n, results in 0, then 0*1111=0 which is falsey, so the right of the or is evaluated, which takes the first four characters of the representation of the square of the n-1th result; this is then cast to an int. When n=1 the integer division, 1/n, results in 1, then 1*1111=1111, which is truthy, and the int 1111 cast to an int is 1111. Takes N from stdin. 3334 is practically X_0, which is needed because the for-loop needs to be executed at least once (it would be longer to skip). R really is a terrible language for taking the first four digits of a number, but since the number of cases are limited, we only have to worry about the squares of x<3163 and x>3162, the former yield a 6 digit number, the latter a 7 digit number. The rest is pretty straightforward, %/% divides and ignores the remainder. x is printed to stdout. Javagony is a restricted version of Java, that doesn't allow any control flow except recursion and try-catch, no for loops, while loops, or if's. Coding in it is a pretty fun exercise, but frustrating. Not that regular Java isn't nearly as frustrating by itself. Run from command line, zero-indexed. Thanks for not caring about what type my variables are, PHP! Here we simply square the number and trim off everything past the first 4 digits, casually alternating between number and string without a care in the world. First Clojure golf (seems like a nice language). This is 1-indexed. Will explain the code later. Saved 4 bytes by following Olivier Grégoire's comment on a Java answer! First golf! Saves bytes with -n option (but still count as 1! :)). A program that takes input of a 1-indexed integer and prints the result. This uses a similar approach to @Adnan's answer. Like Perl, integers are strings, but unlike Perl I can only take the substring of a variable, and taking substrings inside a loop is somewhat awkward. Not an amazing solution. I'm sure there must be a better way to truncate to 4 digits but I don't know today. Each repetition makes n the first 4 characters of n*n.
+16 bytes, by Olivier Grégoire: completed code by making it a Lambda function. -19 bytes: replace while with for cycle. Thanks to @OlivierGrégoire and @RomanGräf for pointing out some issues! Wait, Java beats... (drumroll) Clojure and Matlab here! A big applause to Java please! A different approach from the other Perl solution, leading to slightly shorter code. No command-line arguments are needed (other than the usual version selection argument, -M5.010, which doesn't count against the byte count), meaning that this is the same amount of code but with fewer penalties, giving a better overall score. We create a loop Underload-style via repeating and eval-ing a string; I experimented with starting the string in the middle, but starting it at the start turns out to be shortest. We multiply $& (the result of the last regex match) by itself to square it; if the result's zero, we use 1x4 (i.e. 1111; Perl has an operator for repeating things, including digits of a number) instead of the result. Then we regex the first four characters. The whole thing runs in list context due to being inside say, thus the final result of the eval will be the contents of the parentheses of the final match. Give arguments on the commandline: $ pushy sqseq.pshy 79. Not the answer you're looking for? Browse other questions tagged code-golf math sequence integer or ask your own question.